Coyi Cafe is another great spot on our new block. My first Vietnamese sandwich! I can’t stand cilantro, so I was skeptical but found, after my first bite, that the cilantro in this sandwich is not overbearing. I still picked some of it out. 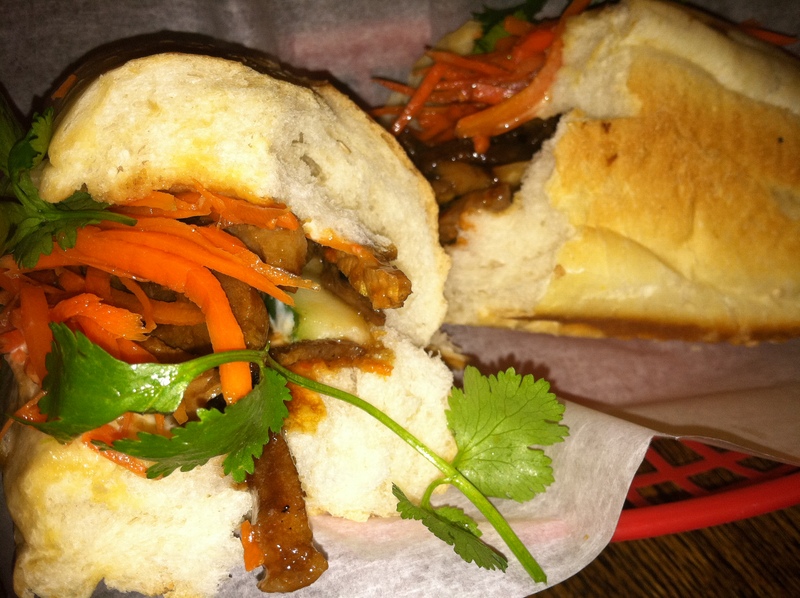 I enjoyed my pork Bahn Mi. Al got the special, which was supposed to be spicy. It wasn’t spicy enough for him. Still, Coyi Cafe is a great neighborhood find. Small but comfortable. The free WiFi makes this a great spot to grab some tea and get some work done. I’ll be back to test out the teas and desserts.